After three successful years as part of our New York City sales team, Tom Shifflet moved to bring his talents to the southern school market. 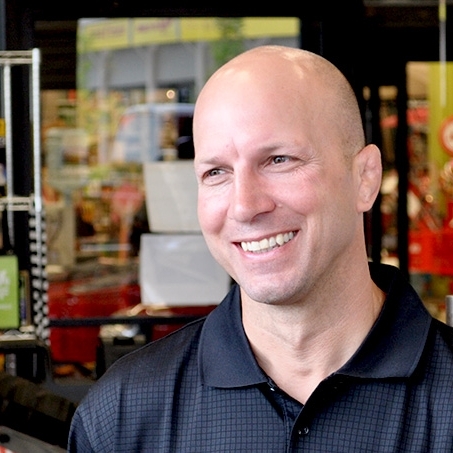 Tom showed a knack for going above and beyond to find the best possible fitness solutions for his customers in New York, and is looking forward to building more great relationships in his new territory. Part of Tom’s drive comes from a rich history of athletic experience as a three time NCAA All-American during his collegiate wrestling career. He later became the head wrestling coach at Hofstra University, leading the team to 4 conference championships and a top ten finish at the NCAA DI championships. After 16 years of coaching, Tom joined the Advantage sales team in 2011, and has used his background as a certified health and physical education teacher and cross-fit enthusiast to provide fitness solutions to clients in the school market. His extensive industry knowledge coupled with a relentless pursuit of customer satisfaction makes Tom a valuable part of our team.